Discover all the magic of Provence with gorgeous surroundings like picture perfect small villages, local markets, waterfalls, turquoise lakes and a rich history. Provence is not only a treat for your soul but also your taste buds. The healthy and creative flavors of Provence is a part of the retreat experience, especially when enjoyed on the terrace at the beautiful, luxurious eco boutique Bastide, our home during the retreat. The itinerary includes hiking expeditions and Yoga Nidra meditation in magnificent nature, as well as visits to the local markets in the small villages and a wine tasting experience by a neighbor when he visits us one evening. The highlight is when we go on a hiking expedition to the largest Canyon in Europe, Gorges du Verdon. It sits between white rocks and emerald lakes and is an outdoor paradise! You will get the opportunity to go kayaking on turquoise water and go swimming in the waterfalls. We will enjoy Lunch in Moustiers Sainte-Marie, one of the most beautiful villages in Provence with many artisanal shops and small restaurants. Experience the atmosphere while walking through the narrow streets, and maybe visit one of the 20 workshops of ceramics. The Bastide Avellanne is located at the heart of Provence and is owned by a Swedish couple, Linn and her husband. Linn will be our host and take us to her “hidden gems” while she shares her story with us. The Bastide is a beautiful 17th century fortified villa, a luxury bed & breakfast set in a private park of 3 hectares, where the colors of the olive trees and centuries old oaks blend with the perfumes of Lavender and Rosemary. In this small Mediterranean paradise, you will find a heated swimming pool, giant chess, tennis, pétanque courts and bicycles to rent. Every bedroom has its own stone chimney, provencal furniture and fabrics. Attention to detail, from the bedding to their grand soft towels, is a signature of Bastide Avellanne. All the rooms overlook the magnificent Provençal landscapes, and each is fitted with air-conditioning, assuring coolness and comfort. You are heartily invited to book a massage at the Bastide (book in advance), enjoy the pool or just relax with a book. We will balance our day at the retreat with healthy, local food. Enjoy cuisine which combines creativity and flavors with a special attention to creating balanced meals. The colorful and tasty menus celebrate Provencal, international and Mediterranean flavors and are prepared by an in-house chef from fresh, local organic ingredients. Breakfast consists of eggs, fresh fruit and juices, homemade granola with farm-fresh yogurt, croissants and baguettes. These are prepared fresh for you each morning. Dinner will be enjoyed on the terrace in the shade of the oak trees, or served by candlelight under the pergola or in the veranda. Upon the arrival, before we start the retreat, the wonderful hosts will welcome us for a wine and cheese tasting experience. Renu (Diane Zagoria) is the founder of Relaxation with Renu. It is her passion to help people of all ages navigate through their lives with greater ease by giving them tools to help manage what stresses them. Renu is an E-RYT 500 Hour certified Yoga teacher and Yoga Nidra facilitator. She has a bachelor’s of science degree in education and minor in psychology. She is also a certified reflexologist, Reiki Master and Life Coach. 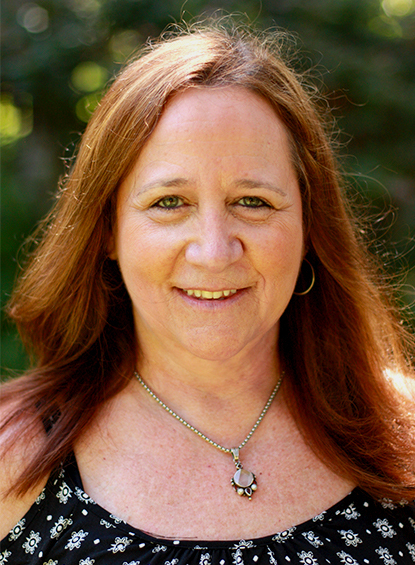 She is based in Los Angeles, where she has a private practice offering Life Coaching sessions and Energy Healing. She also travels in the US and abroad teaching workshops, trainings and retreats. Her expertise is in Yoga Nidra, specializing in the Integrative Amrit Method. Yoga Nidra is an ancient meditation technique that has the power to take you to the innermost, deepest levels of relaxation where your whole body and being is permeated by peace of mind and profound stillness. Her teacher, Kamini Desai says this from her book, Yoga Nidra The Art of Transformational Sleep…Every night when we sleep, we must do one thing; let go of our thoughts. In Yoga Nidra we consciously enter the twilight zone between waking and sleeping, enabling us to rest more and more as the space of being beyond the mind, and less and less as the mind itself. This unlocks the mystical, integrative powers of the subconscious, as well as your higher centers of consciousness, to effortlessly erase your most tenacious, self-destructive habits and behavior patterns. It is said by yogis that 45 minutes of Yoga Nidra is as restorative as three hours of sleep. It is very effective for addressing common stress-related health issues, and self-destructive behavior and thought patterns. Maria Söderholm, the leader of the retreat, is also Swedish, but based in Los Angeles. She has a vast experience of producing retreats all over the world and she is passionate about the outdoors and travels. Maria will also lead a calm, body- and stretch workout, to loosen up tight muscles. Nice Airport, group transfer to Villa Bastiden in Provence, about 75 min. Yoga Nidra Meditation to help you sleep well and recalibrate after your journey. Let’s explore the The Local Market! 7.30 We will start the morning with a body balance stretch, and a walk/run or yoga followed by Yoga Nidra meditation..
10.30 Together with our Host Linn, we will hike in to town for an experience of Besse. On Wednesday’s the local market is on. You will get your own picnic lunch from the market and Linn will take us to a cozy spot for our picnic. 8.30 Today we will enjoy a full day excursion to Gorges du Verdon, The largest Canyon in Europe. Imagine waterfalls, kayaking at emerald lakes, white rocks, yoga and meditation in nature, picturesque little villages and markets. Hiking Time and local Wines! 8.00 We will start with coffee and fruit and leave early, before the heat breaks. We will hike to the local mountain St Quinis with wild cats and views over Provence. On a clear morning you can see the Alps. We will have a Yoga Nidra experience at the top of the mountain where there is a 500 year old church. Time to relax, or enjoy a walk in the surrounding area, take a bike ride, swimming in the pool, massage, or just take time to read a book and relax. Late this afternoon, we will have a private wine tasting by the local Francois. He has a biodynamic vineyard and shares his philosophy on nature and wine. Body balance stretch, a walk/run and/or yoga followed by Yoga Nidra meditation. We strive to maintain a balance between offering our programs to the widest range of participants and running a sustainable and thriving company so that we can continue to create and share our experiences with you. All prices are per person in Euro. All bookings include a deposit that is 20% of the total trip cost. Final payments are due 60 days before the start date of the trip to keep your spot secure. Deposit is due upon registration! Additional transaction fees might be added to international payments. If you wish to cancel your retreat you must notify us in writing. Once we’ve received your notice, cancellation will take effect subject to the following: If cancellation takes place more than 60 days prior to your departure date any payments made will be refunded minus your deposit. Maria Söderholm reserves the right to make any changes deemed necessary by our team, trip leaders, teachers or partners. In the rare case of a cancellation on the part of Maria Söderholm (due to political unrest, dangerous weather, or low sign-ups), we require all participants to purchase travel insurance and highly encourage them to purchase “cancel for any reason” to protect them against the rare chance of cancellation.